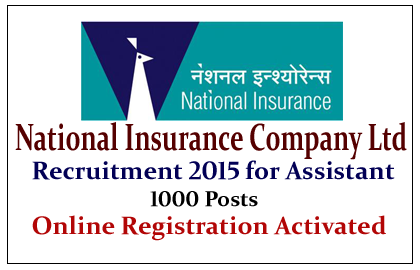 National Insurance Company Ltd has announced openings for the post of Assistant 2015. And the official Notification for this recruitment was announced last week. Now the online application link has been activated. Eligible Candidates can apply for this post before 31stJan 2015.